Project Proposal: Each year Suffolk Yacht Harbour at Levington on the Orwell Estuary in Suffolk must undertake a dredging campaign in the winter months to ensure sufficient depths at all states of the tide for its pontoon berths. Since 1993, it has been licensed to deposit dredging spoil at managed sites on the foreshore approved by Defra and Natural England. The amount discharged annually is between 15,000- 20,000 cubic metres. The proposal for 2014/15 was to transfer the operation to two degraded SSSI habitats within the SPA (European Marine Site). It has been estimated that the area of saltmarsh has decreased by 59% on the Stour and 46% on the Orwell between 1973 and 1997. The Stour and Orwell SPA supports in excess of 20,000 waterfowl. These sites are adjacent to the Yacht Harbour: to the West on the fringing saltmarsh at the head of Levington Creek and to the East on a high mudflat behind a historically breached defence beside Loompit Lake. The Stour and Orwell Estuaries Management Group (S&OEMG) and Suffolk Yacht Harbour at Levington agreed to collaborate upon this project as a pilot to raise the profile of the strategy for the beneficial use of dredging spoil for saltmarsh restoration. This approach is consistent with the strategy identified in the South Suffolk and Essex Shoreline Management Plan 2011 (SMP) by the Environment Agency as a cost effective option that delivers wider environmental benefits. The partners in this scheme are Suffolk Yacht Harbour (SYH) and the Stour and Orwell Estuaries Management Group. 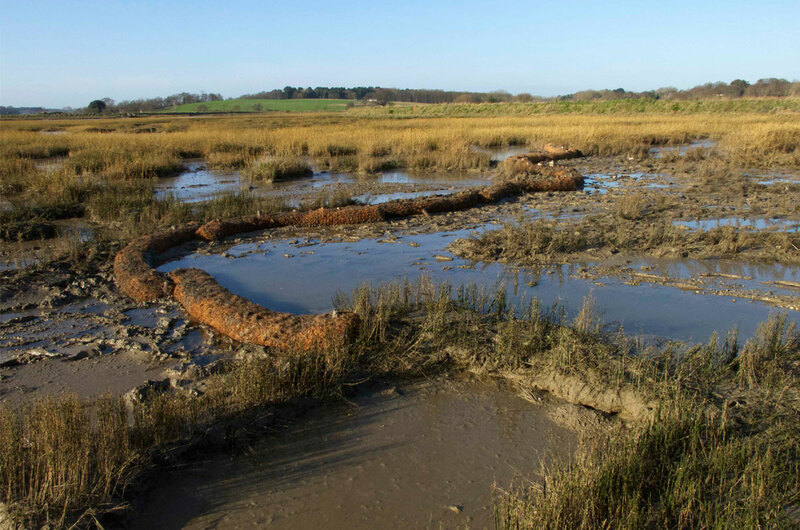 Suffolk Coast and Heaths Unit (SCHU) supported SYH at a consultative level towards securing the marine license to allow placement of dredged material in new intertidal areas and securing partnership funding elements for the project. The Environment Agency supported the project through providing aerial photographs and LIDAR data and by providing technical expertise and experience through on-site consultation. 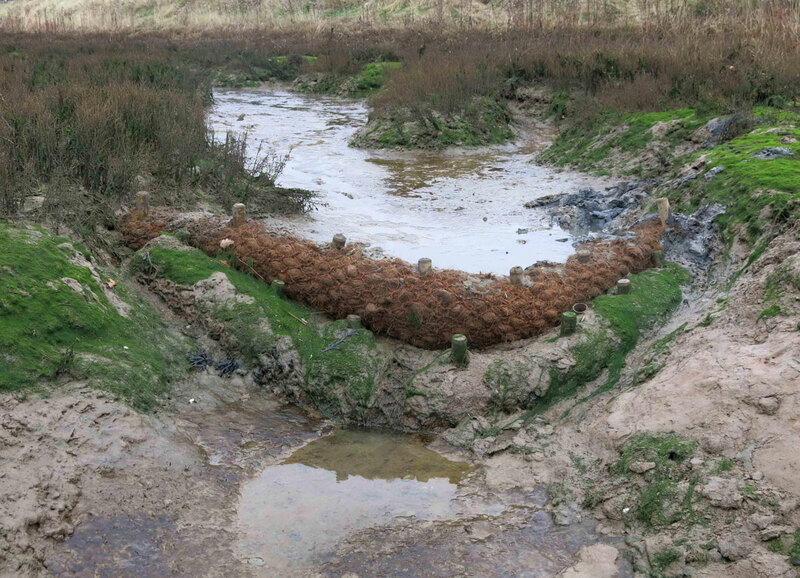 Suffolk Wildlife Trust have been actively engaged through cooperating over the laying of the pipework over their nature reserve and agreeing to carry out the monitoring programme. The estimated budget for the project including pipework, structures and manpower was £60,856.20, whilst the working fund was £61,199. This fund was made up of in-kind support from Suffolk Wildlife Trust, £4000, and Ipswich Borough Council, £3,000, Environment Agency, £12,000, Suffolk Yacht Harbour, £7,000, Suffolk County Council, £10,000, ABP Ipswich, £2,000, AONB Sustainable Development Fund, £3,000, VEOLIA, £14,199 and £5000 from Suffolk Coastal District Council. 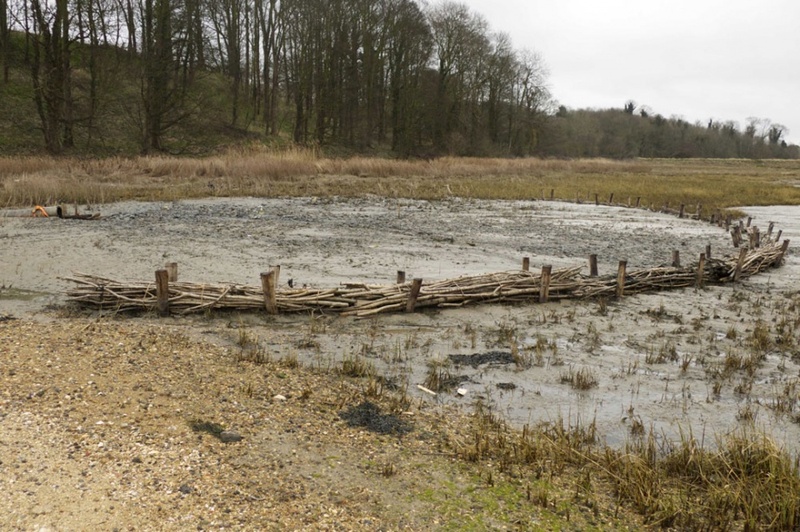 This project was preceded by a thorough consultation exercise, starting in 2012, where all interested parties, stakeholders and local community members were invited to attend events set up by the Stour and Orwell Estuaries Management Group. Consents and licenses were gained from Natural England, Environment Agency and the Marine Management Organisation. The main guidance for this project is the consultation document: “Stour and Orwell Estuaries Management Group working in partnership with Suffolk Yacht Harbour Levington Saltmarsh Restoration & Beneficial Use of Dredgings Project 2013” produced by Trazar Astley Reid and updated in 2014. The proposal is to extend the pipeline to each of the two sites and to pump from the western end of the marina via existing concrete drains in the wall of the nature reserve beside the saltmarsh at the head of Levington Creek and from the eastern end into the top corner of the Loompit Lake Site. Prior to the operation, each site would be prepared by placing systems of bunds to retain the silt. It is expected that this will be reviewed and monitored on an annual basis and any adjustment deemed necessary to ensure the continuing efficacy of the project should be put in place. Trazar Astley-Reid of SCHU and Karen Thomas of Environment Agency conducted the initial scoping of the project with Jonathan Dyke of SYH. As a result of this a basic strategy was agreed to make low-key interventions in the channel systems of the two sites, using materials such as coir in innovative ways. 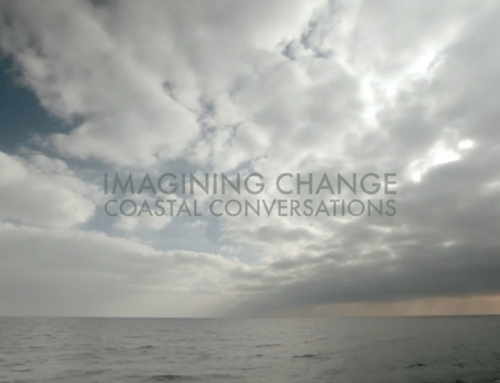 SCHU worked up this approach with Kieran O’Mahony, Environmental Scientist and Simon Read, Visual Artist to establish a sustainable design for this intertidal landscape as a model for future initiatives. 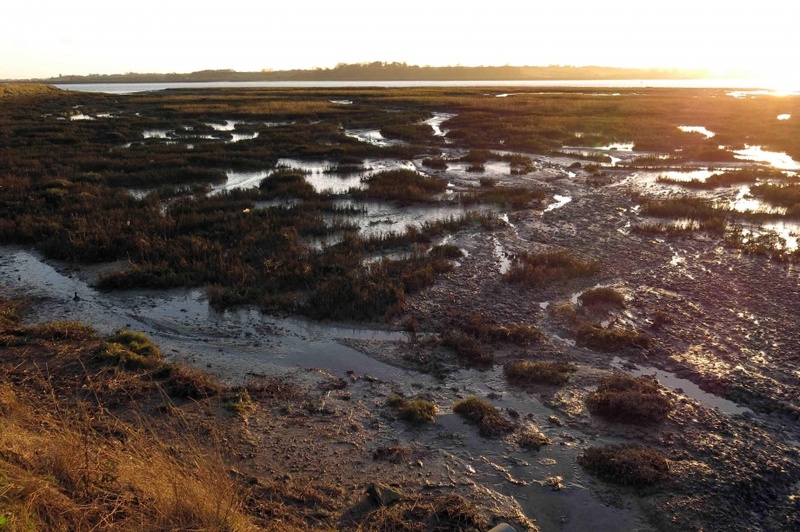 An account of the works carried out on site: The aim of this project is to sequester sediment from the annual dredging operation of Suffolk Yacht Harbour and to use it as recharge on two degraded saltmarsh sites immediately to the West and to the East of the Marina. 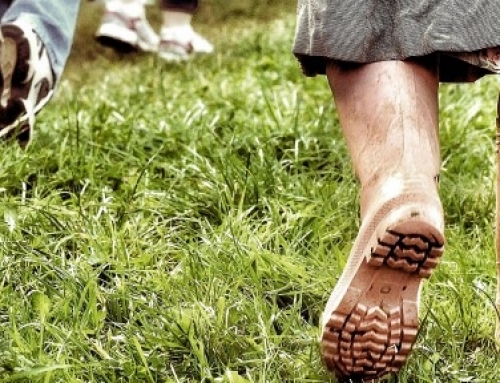 Upon completion, Suffolk Wildlife Trust has undertaken to manage the monitoring programme. The West Marsh is a substantial area of degraded saltmarsh between the entrance to Levington Creek and Suffolk Yacht Harbour. Although seasonally there is a good crop of Samphire (Salicorna Europaea), Cordgrass (Spartina Anglica) and Sea Aster (Aster Tripolium), there is insufficient overall elevation for this to progress any further beyond pioneer growth apart from a margin of middle marsh close to the defence wall and in isolated patches in the body of the marsh that have been colonised by Sea Purslane (Halimione Portulacoides) and Sea Lavender (Limonium Vulgare). The proposal is to install a complex of low barriers within the channel system in order to hold back sediment pumped into the site by the yacht harbor during its seasonal dredging operation. This is a collaborative project between Suffolk Yacht Harbour, and the Stour and Orwell Estuary Management Group, designed and implemented by Kieran O’Mahony and Simon Read. For all parties there is an understanding that the advantages derived from this project are mutual: Suffolk Yacht Harbour could and would have continued to deposit dredging spoil on the foreshore locations in a way that prevents it from returning to the tideway. Transferring the operation to the two new sites will ensure the benefit of an influx of sediment that should eventually raise the levels of the marsh beyond pioneer stage and into a succession of healthy saltmarsh vegetation. This in turn will enhance the biodiversity of the foreshore and provide greater resilience against tidal and wave action. 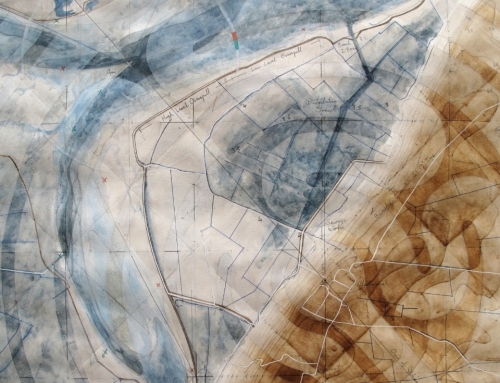 Map the site and discern the gradients and direction of flow within the marsh. Strategically place Coir Logs within the system to incrementally interrupt flow, but avoid the build up of bodies of standing water sufficient to increase hydraulic pressure to the extent that it will cause failure either through undermining or diversion. In the first instance, 48 Coir Logs were staked into the channels radiating from the proposed discharge point. In an effort to mitigate the effects of higher velocities and levels of flow, these are positioned more tightly together near the point of discharge than at the outer limits of the channel system. 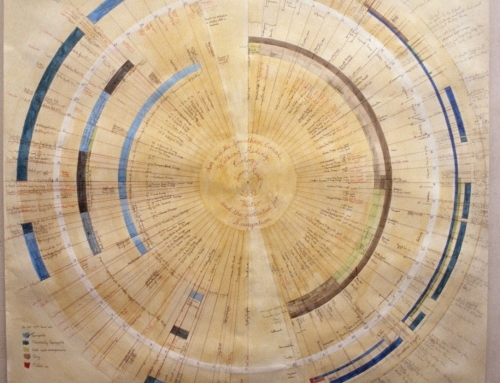 The installation took 5 days from 18th to 23rd August 2014. This is deliberately a very low-key intervention, with the expectation that it may need additional structural intervention during the course of the dredging campaign and year on year as levels rise. Suffolk Wildlife Trust have set up a monitoring programme based on transects, fixed-point photography and horizon markers. 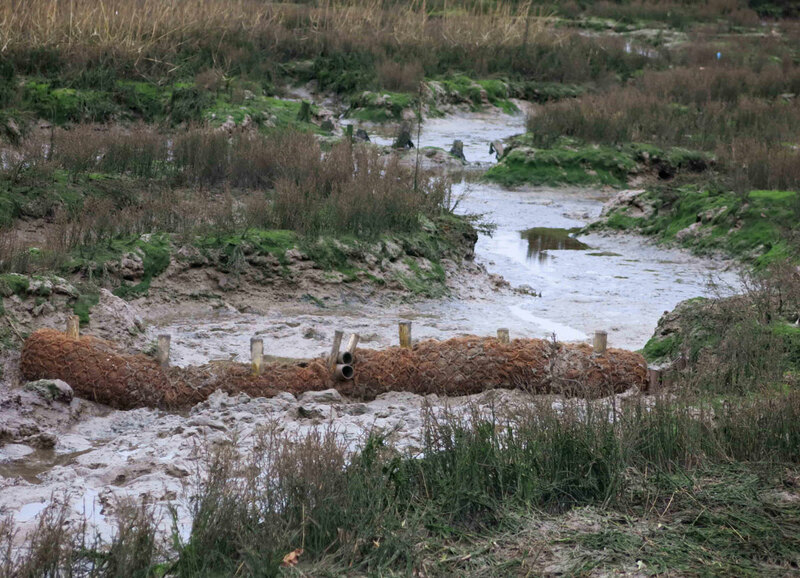 December 19th 2014: After six weeks dredging, the entire channel system within 50metres of the outfall has become smothered by spoil and the coir bunds further downstream are noticeably holding back sediment. After a period of settlement, there will be one further discharge at this site before attention is transferred to the south site beside Loompit Lake. The East Site Beside Loompit Lake Is Predominantly Mud Flat With Very A Small Saltmarsh Fringe Of Mainly Sea Purslane And Cordgrass Towards The Landward Side. There Is A Substantial Plume Of Sand At The Western End That Has Progressively Built Up Over At Least Ten Years. This Is Possibly The Result Of Sediment Dropping Out From Dredging Spoil Discharged On The Adjacent Foreshore And Carried In On The Ebb. In The Shelter Of This Formation Examples Of Other Vegetation Types Such As Shrubby Sea Blight (Suaeda Vera), Golden Samphire (Limbarda Crithmoides) And Frosted Orache (Atriplex Laciniata) Have Been Recorded. The site was a reclaimed field where historically the defences had failed upriver before the construction of Suffolk Yacht Harbour. 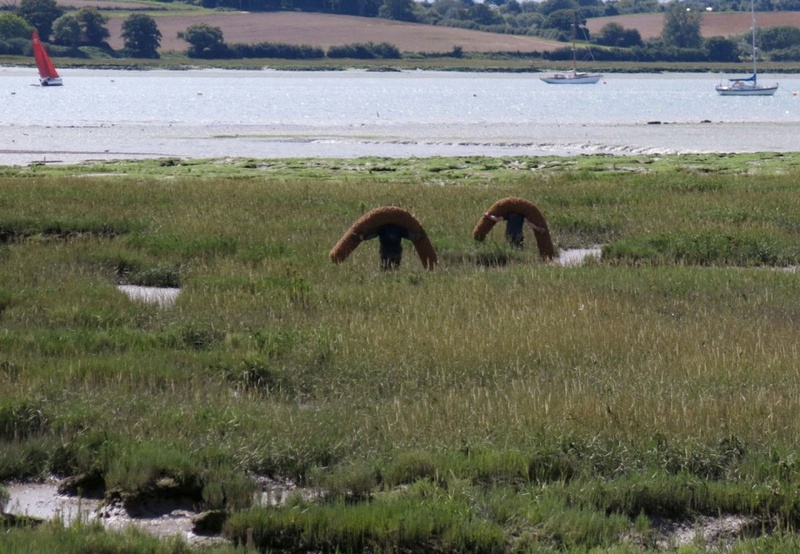 From then the process of returning to an intertidal landscape has followed a predictable cycle where, in the first instance, saltmarsh vegetation colonised the hard clay of drained pasture. 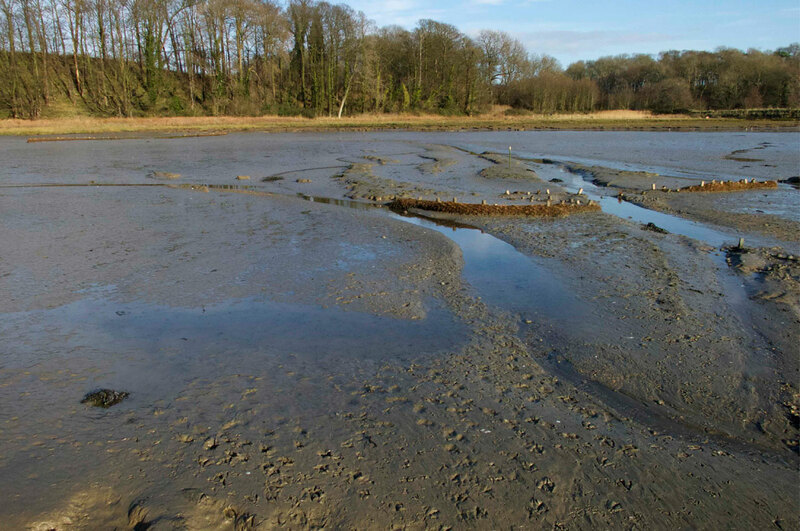 As the original clay defence walls progressively disintegrated, tidal ingress became more dynamic, eroding the derelict pasture whilst depositing soft estuarine silts. towards the north of the site where it meets rising land, this process is slowing down although the saltmarsh vegetation continues to die away. As in many sites where reclaimed land has returned to the intertidal zone, it remains in a transitional state for a surprisingly long period of time. Eventually without intervention it must reach some kind of equilibrium; but through artificially lowering the tidal dynamic within the site and introducing dredging spoil as recharge, this process is likely to be more rapid and sustainable over a much wider area. Block the two main breaches in the original defence wall to ensure that the spoil will not be carried out directly into the tideway and that tidal exchange within the site will be controlled. Construct a pen of brushwood backed up with coir logs using coir blanket around the outfall to mitigate the immediate effects of scour at point of impact. Construct a series of low bunds within the site to manage increased flow, discourage the tendency to form substantial drain channels and to encourage deposition as evenly as possible across the site. 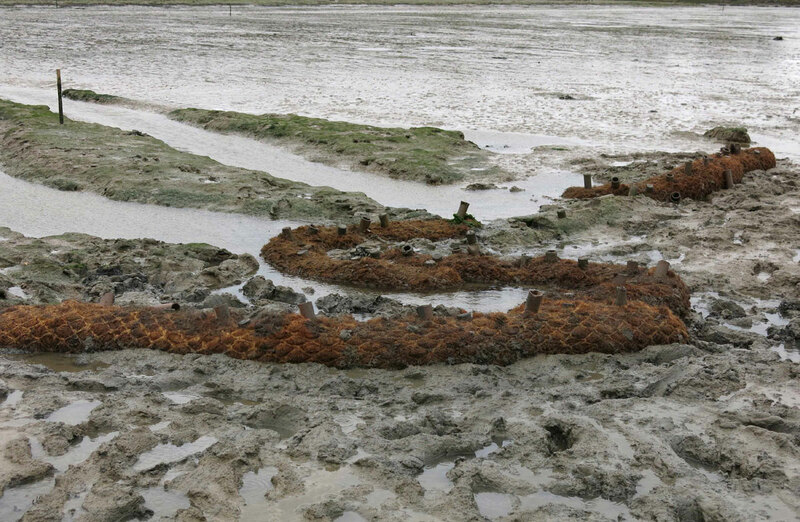 This is a low-key intervention using coir logs similarly to how they were deployed on the north marsh. After the completion of the dredging operation at the Loompit Lake site, it became clear that the bunds that had been put in place had been effective in retaining sediment within the site and ensuring that the existing channel systems were not scoured deeper. Once the sediment has settled, it will become clearer whether or not further work will be needed on the site before the next season. There may be a tendency for alternative channel systems to develop on the both East and West sites, however, it is agreed to wait until after the completion of the dredging operation for the current year before deciding upon whether it will be appropriate to install further adaptive measures. 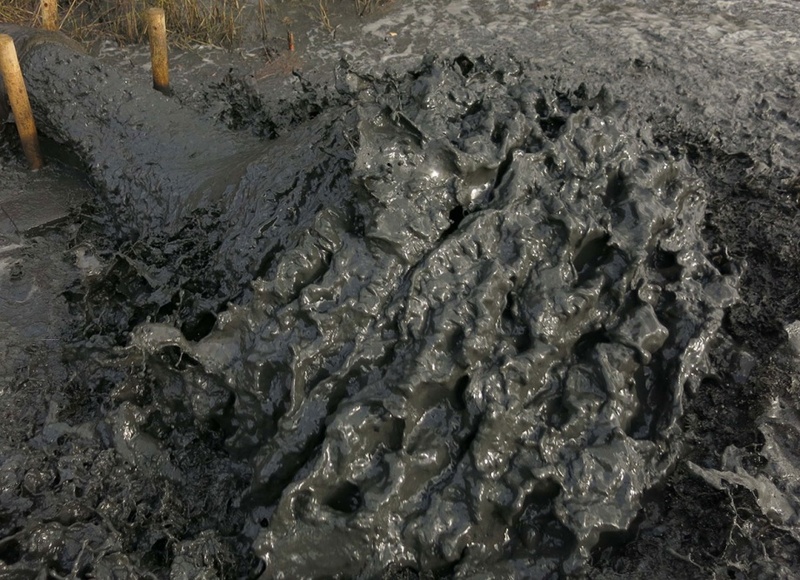 Use of dredged material beneficially to enhance degraded marsh areas is a technique that can be used relatively cheaply by local marine businesses. 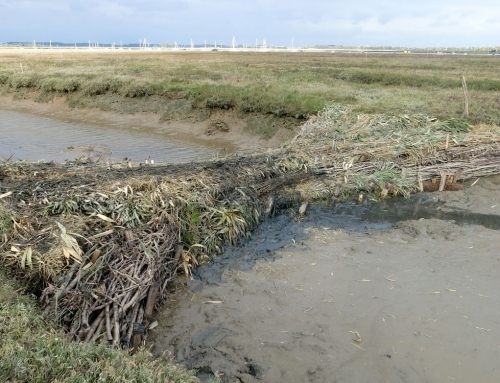 Innovative materials like coir can be employed alongside traditional brushwood polders in the marine environment to provide structures to trap sediment and retain dredged material in situ. Partnership working is key to maximise design expertise and funding and gain permissions and consents. 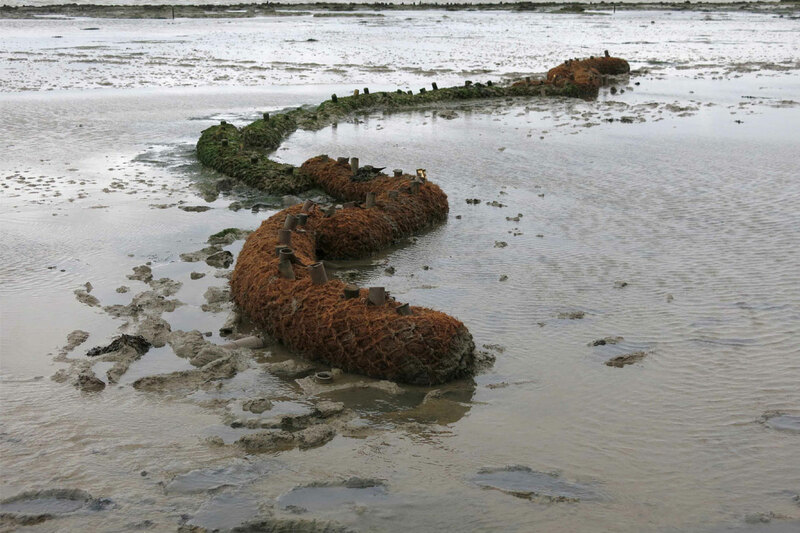 Suffolk Wildlife Trust will be monitoring the project but initial findings (March 2015) are encouraging and the intertidal areas are trapping the dredged sediment successfully. 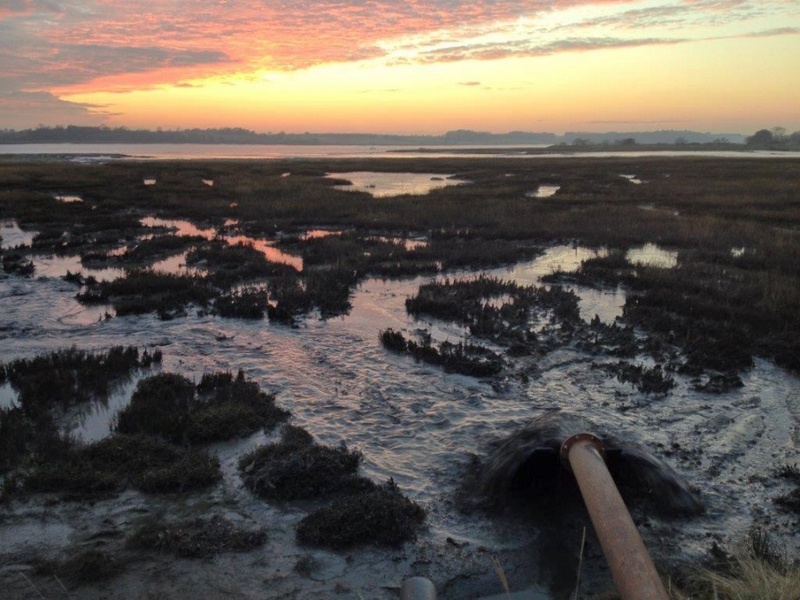 This project is a pilot and case study for the Essex and South Suffolk SMP and will be part of a strategic Beneficial Use of Dredgings Strategy being led by the Environment Agency. Both Suffolk Yacht Harbour and the Beneficial Use of Dredgings Startegy project will report back to the Essex and Suffolk Coastal Forums to encourage buy-in from statutory and non-statutory organisations and highlight the benefits of this technique for marine businesses and the local environment. Thanks go to Trazar Astley Reid as the Suffolk Estuaries Officer working for the SCHU who advised Stour and Orwell Estuary Management Group, along with Jonathan Dyke as owner of Suffolk Yacht Harbour for hosting a pilot project at Marina. Thanks also to Karen Thomas (Environment Agency) who gave expertise to develop the design of the sites and Emma Hay (Natural England) for supporting the approach. Thanks to Simon Read and Kieron O’Mahony for designing and installing the structures and to Dorothy Casey and Andrew Excell of Suffolk Wildlife Trust for agreeing to works on their land, undertaking the monitoring programme and giving enthusiastic support throughout the development of the project. Carol Reed for giving technical advice and support on the viability of the project and John Brien of Harwich Harbour Authority for giving support over the dredging license protocol. Thanks also to the funders which in addition to Suffolk Yacht Harbour were; AONB Sustainable Development Fund, VEOLIA, Environment Agency, Suffolk Coastal District Council, Suffolk County Council, ABP Ipswich, Ipswich Borough Council, Suffolk Wildlife Trust. Stour & Orwell Estuaries Management Group working in Partnership with Suffolk Yacht Harbour: Levington Saltmarsh Restoration & Beneficial Use of Dredgings Project 2013. Simon Read, Associate Professor, Middlesex University London. Over the winter of 2014/2015 contracted works were carried out by Kieran O’Mahoney, Simon Read and Allden Owles to prepare two sites adjacent to Suffolk Yacht Harbour to receive and retain pumped dredging spoil. The sites are to the west of the marina on the fringing saltmarsh adjacent to Levington Creek and to the east on the high mudflat behind the historically breached defence wall beside Loompit Lake. The approach to this work was to locate a system of low coir bunds on each site to retain spoil but not interrupt the drainage. 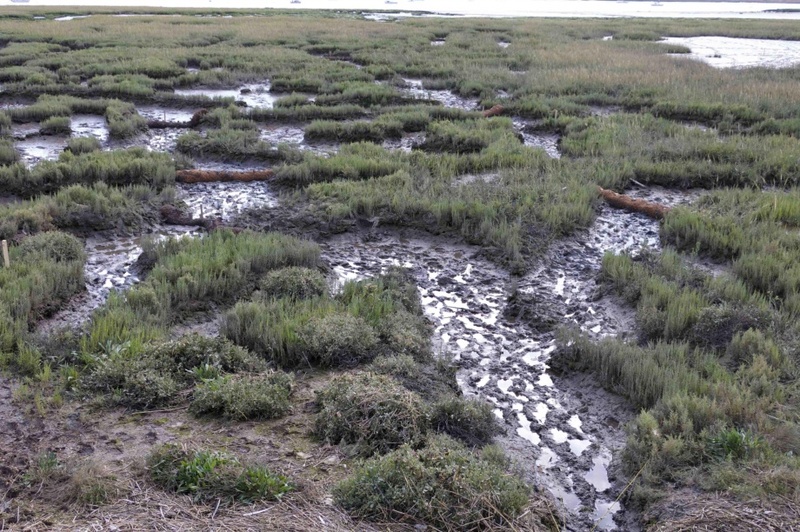 Since initially neither site held any saltmarsh features higher than approximately 30-50cm above bed level, it was decided to keep the intervention to a minimal scale upon the understanding that over subsequent years, as levels increase there would be a need to revisit and introduce or extend the works already in place. It was agreed that following the success of the 2014/2015 further adaptive works would be justified. 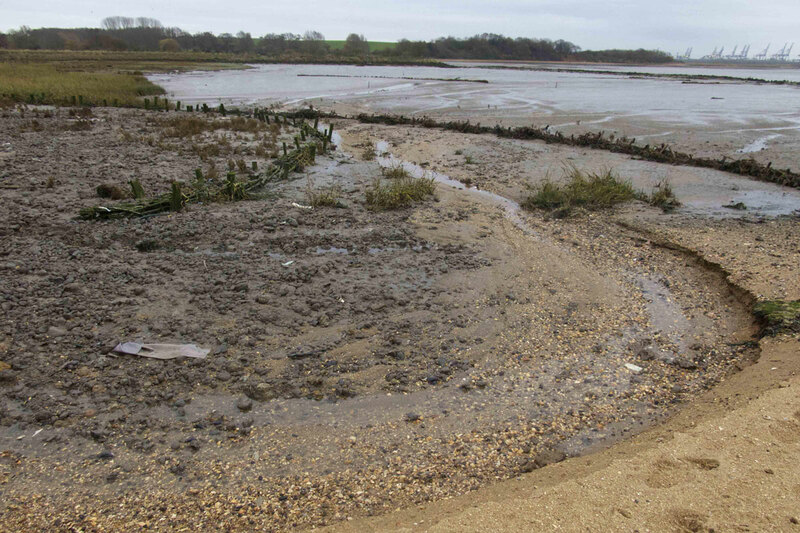 At the Levington Creek site, a system of coir bunds was installed in the channels radiating from the discharge point and a shuttering ply pad staked in to mitigate scour immediately beneath the outfall. 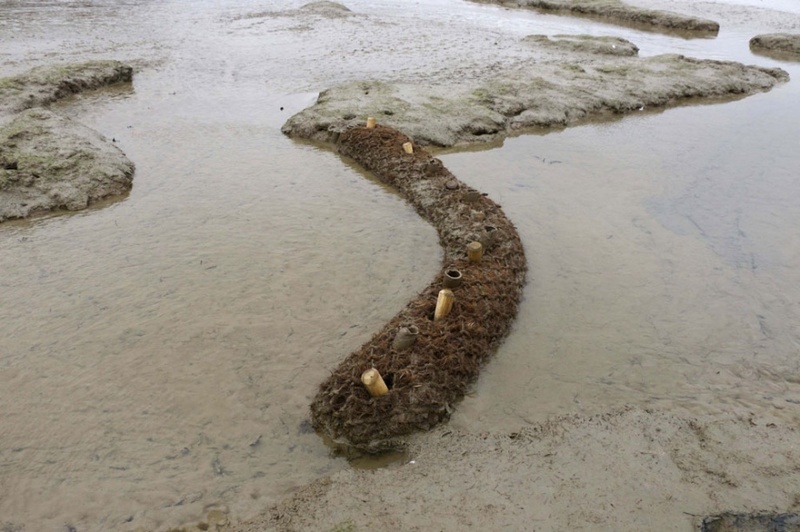 Upon the completion of the dredging work these channels had for the greater part filled with sediment and after a year there is evidence of pioneer vegetation in the form of Samphire (Salicorna Europaea). 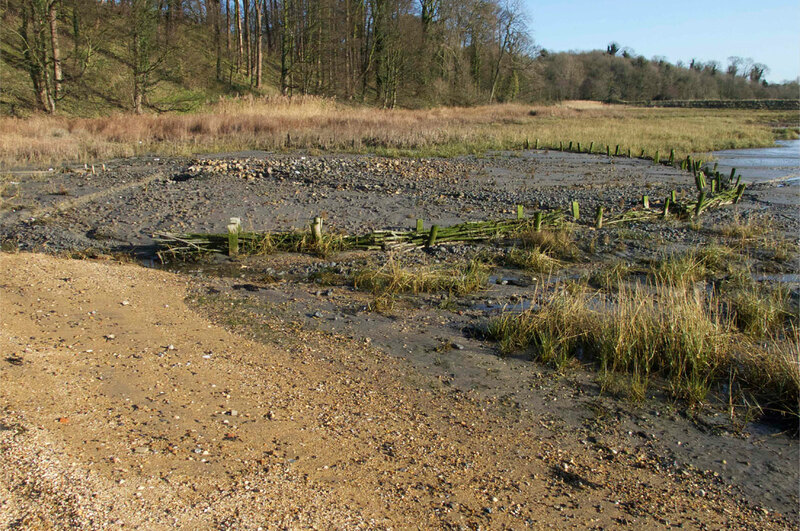 The Loompit Lake site is fundamentally unrelieved mudflat where the strategy was to use lines of coir to encourage the spread of sediment across the surface as much as possible and to impede the tendency for substantial drain channels to form. 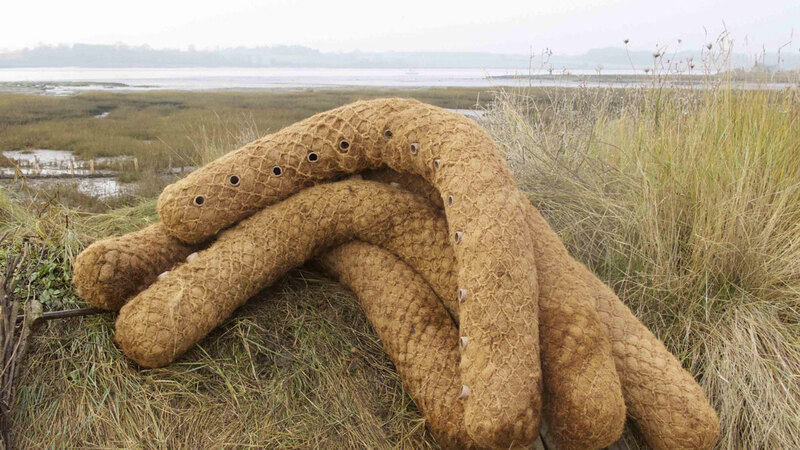 For this reason a holding pen of brushwood and coir logs was constructed at approximately 30m radius from the discharge point and a coir mat inserted to mitigate the immediate effect of scour. 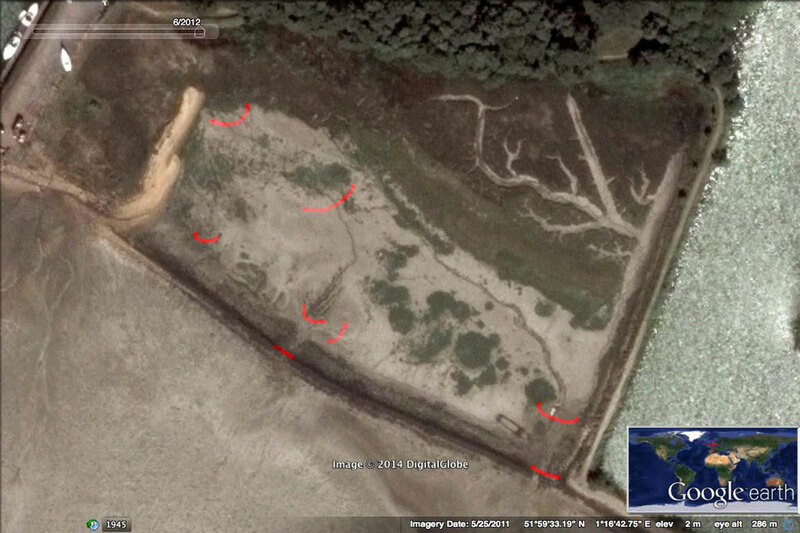 After the dredging operation, it was clear that the coir barriers had all retained substantial amounts of silt and that the holding pen had filled up completely and within a year was becoming colonized by Cordgrass (Spartina Anglica). At the time of the original project 2014/2015 it was understood that it would probably require revisiting the next year to extend its efficacy by introducing further structural works. It was anticipated that again this would be low key and no more than a extension what has already taken place as an adaptive and responsive process. The East Marsh at Loompit Lake has a substantial accumulation of sediment prompting the approach to do no more than extend the effect of the previous works by continuing the coir logs already in place outwards to contain overspill and the tendency of new drain channels to form. Whilst it is understood that channels will form because of the north west-south east gradient, the aim is to encourage a terracing effect where possible, with the intention to raise the elevation of the site overall to encourage vegetation succession. 18 coir logs were installed on this site over a period of two days. For the West Marsh adjacent to Levington Creek the strategy was to manage the most substantial channels that have formed as runoff from the previous years dredging operation, extend the capacity of the marsh to retain sediment further out from the point of discharge, encourage the formation of a higher level of sediment to be captured by an undulating line of coir coir logs set at a radius from the discharge point of approximately 20-30 metres. 20 coir logs were set aside for this work and were installed over 15th-16th January 2016. 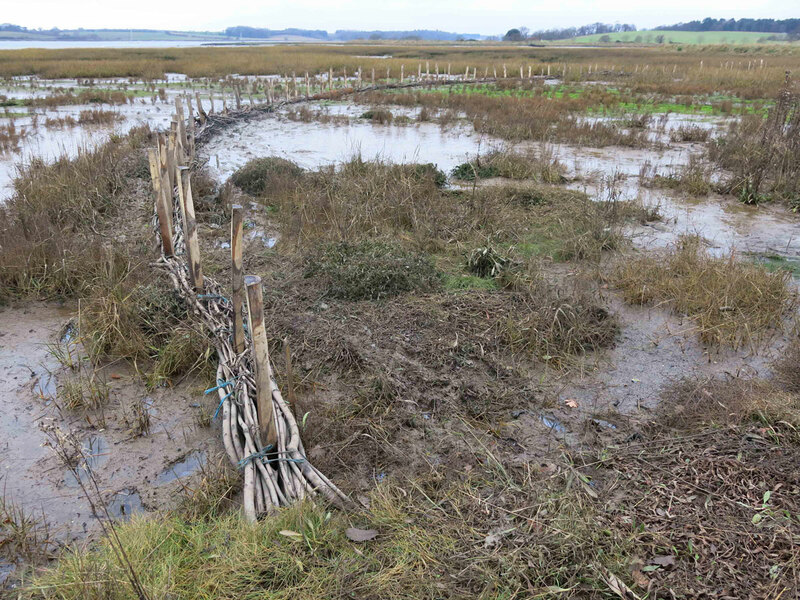 It has been established that it is possible, through low-key intervention upon two different degraded saltmarsh sites, to retain dredged spoil and effectively raise their level and resilience. On the Levington Creek site the accumulation of silt in the drain channel areas is up to 30cm, whilst closer to the discharge point the surface level has been raised by approx 10+cm. On the Loompit site the accumulation of silt at the discharge pen is up to the top of the brushwood. An estimated 10cm is laying on the surface overall but towards the river particularly at the two original drain points the depth of soft mud is considerable and up to 40cm at its most extreme and 20cm where it is held by the coir barriers. At the time of writing, it is clear that the Loompit site is gathering sediment well to the extent that some has washed behind the outfall into the marsh behind the sandbank. As a result of this some further drain channels have formed. On both sites there is localized evidence of pioneer vegetation. The muds that have been deposited are still soft and not sufficiently anchored not to be washed away, on this basis the use of low-key structural intervention may continue to be necessary before they stabilize. 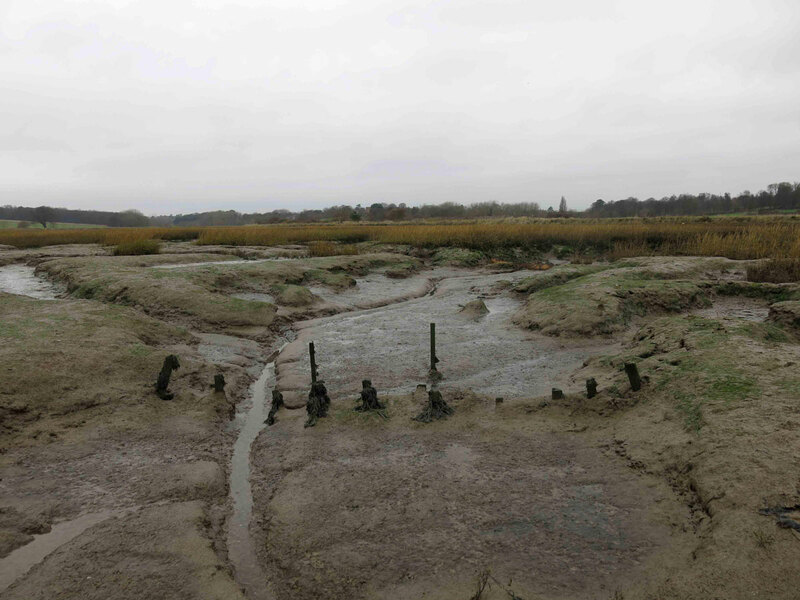 At the time of writing, the performance of the marsh at Levington Creek has not been observed since the dredging operation is still in progress. Although it may be feasible in the future to continue to push sediment around on the Loompit site it may more effective to move to a combination of brushwood and coir to further raise levels at the Levington Creek site in order to propogate vegetation and develop succession. I suggest we review and assess both sites before the next round of dredging to whether further work should be carried out and if so, what form this would take. If taken on the basis of the work already undertaken any intervention should be minimal. Preparatory work for Suffolk Yacht Harbour dredging operation 2016-2017. 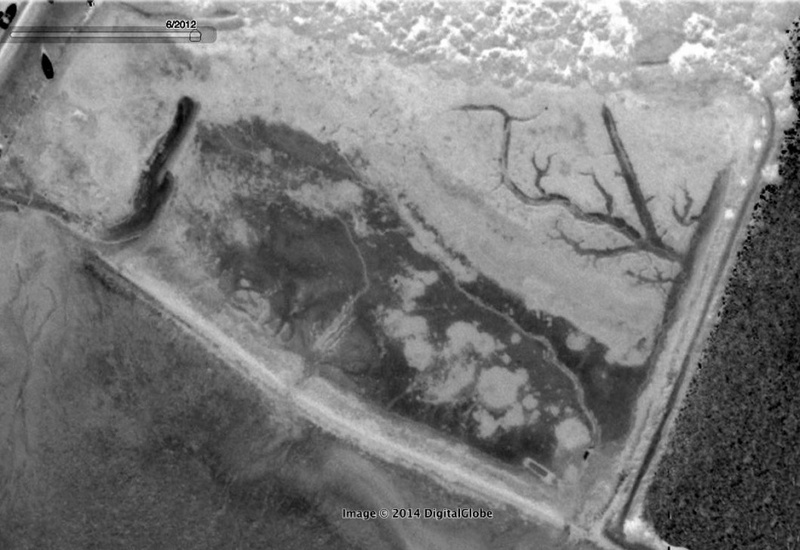 The two locations to be worked upon were the mudflat immediately to the south east of the yacht harbor, adjacent to Loompit Lake and the fringing saltmarsh complex north west of the yacht harbor, adjacent to Levington Creek. It was agreed to make minimal intervention at the Loompit site beyond extending the baffle system already in place where appropriate and to put in place a further section of brushwood fence to extend the discharge pen. We also agreed to raise the level of the outfall with the intention that the distribution of sediment should reach beyond the immediate point of discharge. At the Levington Creek site, the strategy of placing coir logs within the channel system where it radiates outwards from the outfall has been so successful that the channels up to and beyond 30 metres have become so filled with dredged spoil that they are beginning to develop pioneer growth of Samphire (Salicornia) and Cord Grass (Spartina Anglica). As a consequence, we agreed to put in place a low brushwood pen in an arc, 30 metres from discharge point with the aim of raising levels overall, with the intention of encouraging the establishment of high marsh closer to the seawall and, from there, gradually work outwards into the body of the marsh. 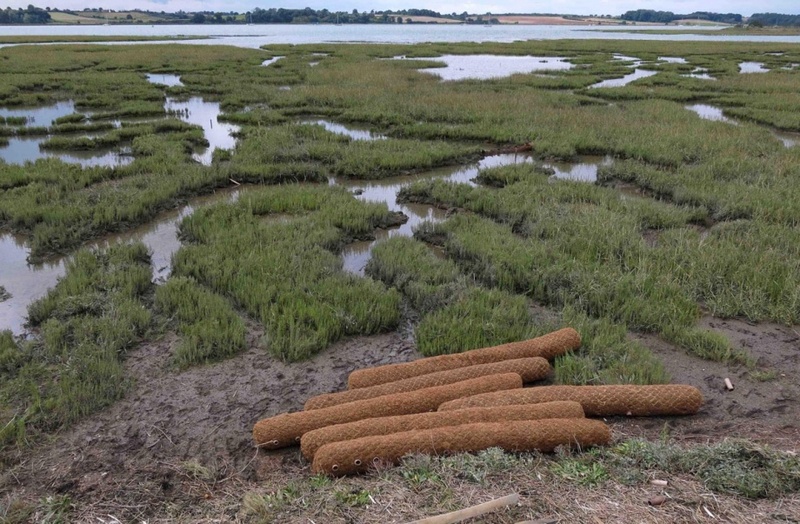 We also agreed to extend the use of coir logs in the channel system further into the body of the marsh where appropriate and where it would be beneficial to back up those already in place from previous years. 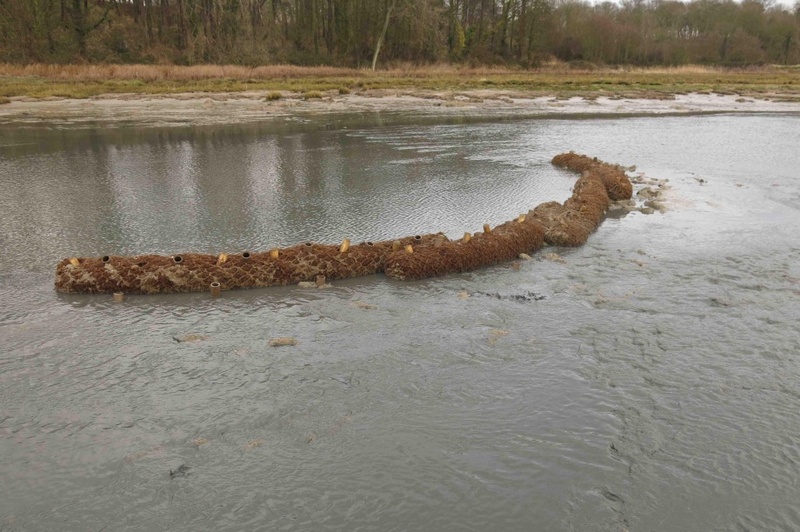 The work at the Loompit site was carried out over Saturday 19th November laying out 8 coir logs to extend the current configuration and a low brushwood fence in an arc between the current holding pen and the existing sandbank to attenuate increased outflow and scour. Our strategy for this site was to respond in a minimal way to the pattern of flow across the site that has altered since the dredging operation of the previous year. The further work at the Levington Creek site took place over three days 10th-12th December. The brushwood faggots were regrettably inferior quality, but were adequate to provide a low barrier contiguous to the surface of the mud deposited from the previous year. Provision was made to raise levels further in subsequent dredging operations. 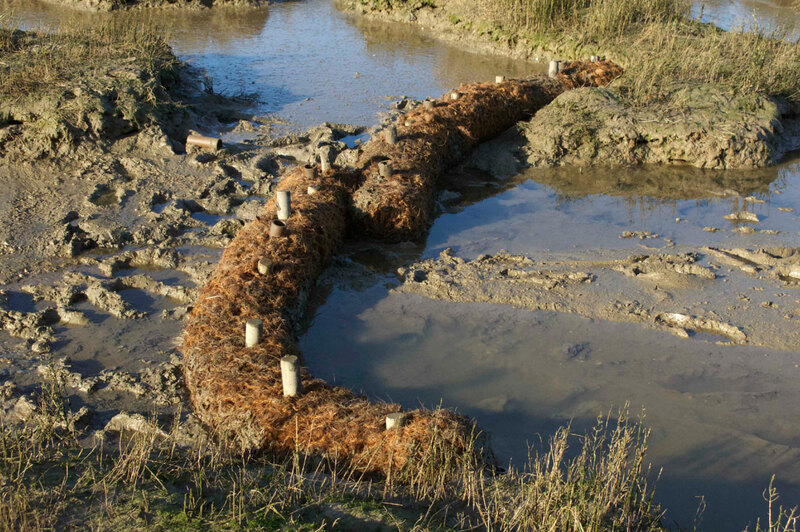 21 coir logs were used to raise sediment levels in the drain channels and to extend the effect to the edge of the main drain for the system, improving the capability of the system to retain the dredged spoil. 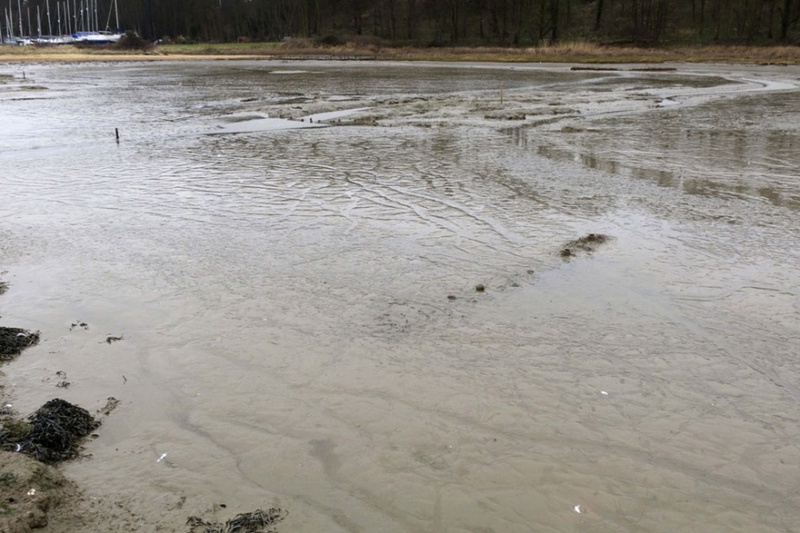 It is clear on both sites that levels of sediment are being held and that there is considerable evidence of new pioneer growth, consisting mainly of Samphire and cord grass. At the Loompit Site we might need to reconsider the position of the outfall since it has built up so much spoil that it is beginning to flow back into the marsh behind the sandbank. This may not be a problem but it does mean that the outflow is becoming not so direct into the receptor site. The barriers put in place at two locations in the original river wall have become dislodged by wave action this season and may need some attention before next year. The Levington Creek site may need some reconsideration next season. Whilst the principle of working from the inside outwards is very successful and levels have been raised considerably, it may now be appropriate to place a brushwood structure in the main drain channel area. 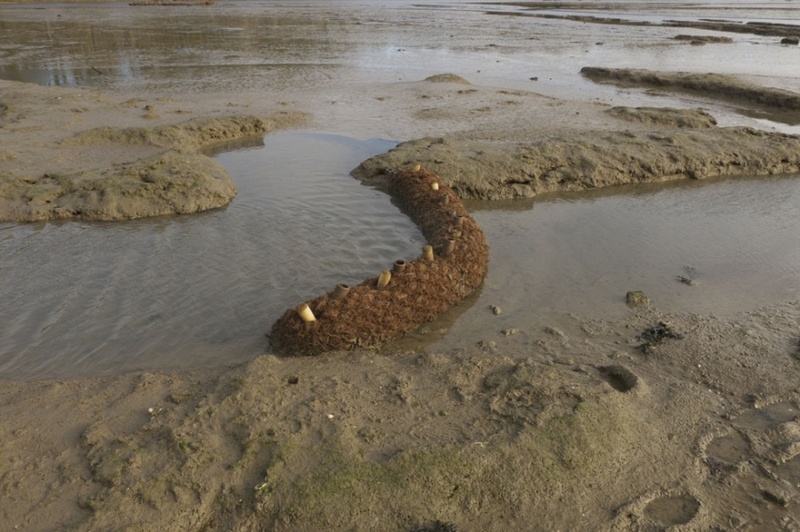 We have also noted that where coir logs had been put in place in positions furthest from the outfall, these have been overtaken by erosion caused by wave action due to exposure to fetch from the river. This may benefit from an attenuation barrier, but will need careful consideration in order not to promote further scour or be overtaken itself. The strategy for the Loompit Site is functioning very well and holding sediment well. My recommendation would be to continue to adapt to the shifting channel system on the site through low-key intervention using coir. However, as the holding pen and its present extension become overwhelmed with sediment, further brushwood may become more necessary to raise levels. Any further intervention should be subject to reassessment in the summer of 2017. Whilst the Levington Creek site is working well from the inside outwards into the body of the marsh and I am happy to continue with this basic approach, it has become clear that the marsh continues to degrade at its outer limit where it is more vulnerable to estuary systems, wave action and wash. Mitigation for this will need careful consideration. 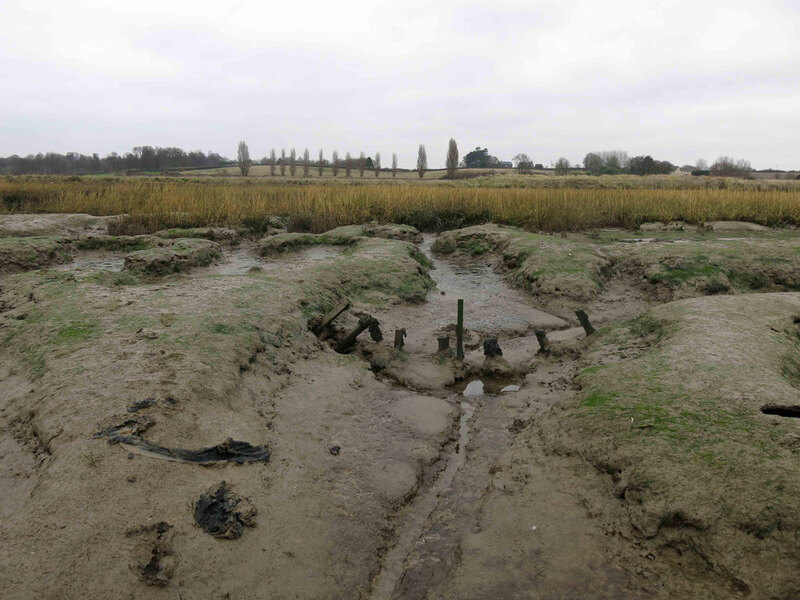 This also will need consideration over the coming months and as already proposed, more substantial structures may be appropriate as the work extends further into the body of the marsh and the larger channel systems.